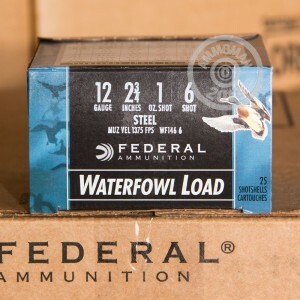 Federal's #6 Steel Shot Waterfowl Loads are a great choice for hunting in areas where lead contamination is a concern. 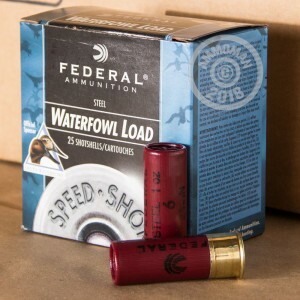 Each 2-3/4" shell is loaded with 1 oz. 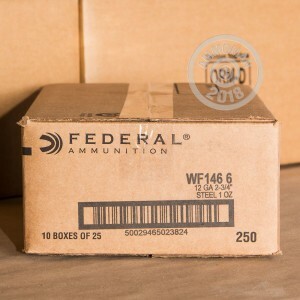 of Federal's #6 Steel Shot. These rounds send tight patterns down the muzzle at 1375 FPS.